We offer wide variety of bulk aroma products typical for Bulgaria region - essential oils, extracts, macerates and natural hydrosols. Aroma products that are sustainably sourced The finest Rose and Lavender essential oils are coming from famous Rose. Plai belongs to the same family as Ginger. As with Ginger, Plai Essential Oil is steam distilled from the rhizomes (roots). The distillation of fresh roots produces an essential oil that tends to be more aromatically pleasing than when the dried roots are distilled. Aromatically, Plai Essential Oil is reminiscent to Ginger Essential Oil. Its aroma is pleasantly spicy with woody and peppery characteristics. It tends to blend well aromatically with the same essential oils that Ginger does, including essential oils in the citrus, floral, mint, wood and spice families. Emotionally, Plai Essential Oil is an energizing essential oil that is particularly nice to use when feeling lethargic or sluggish. 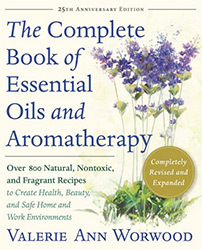 Sources: Neryls Purchon and Lora Cantele, Complete Aromatherapy & Essential Oils Handbook for Everyday Wellness (Toronto ON: Robert Rose, 2014), 99. Valerie Ann Worwood, The Complete Book of Essential Oils and Aromatherapy, 25th Anniversary Edition (Novato, CA: New World Library, 2016, 615. Source: Private Communication: Pappas, 2003. Source cited in Robert Tisserand and Rodney Young, Essential Oil Safety (Second Edition. United Kingdom: Churchill Livingstone Elsevier, 2014), 400.